How far will our trip be and what will the best way be? Broken Hill back to Balaklava. How long is it between these destinations and do you have any advise regarding routes and road conditions as we need fairly good roads suitable for caravans. 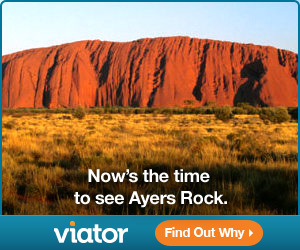 Nice trip you're planning to explore the Outback in SA and NSW. To do this trip you don't have much choices of different routes. 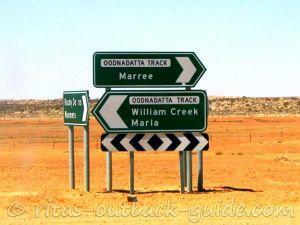 Once you're north of Arkaroola there is no choice at all. You certainly understand that I can give you only suggestions about road conditions in general. Most of your planned trip is on unsealed roads, and you should know that conditions can change rather quickly. 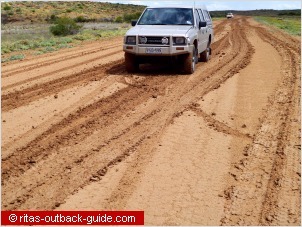 Although this trip can be made with a normal car if conditions are optimum in all sections, you'd be on the safe side with a 4 WD. The caravans really should be off-road vehicles which cope better with the rough conditions on unsealed roads. 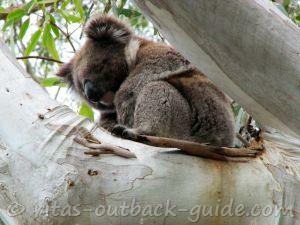 Balaklava to Yunta - about 250 km, depending on which way you use to reach the Barrier Hwy. 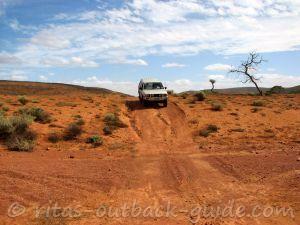 Access to Lake Frome is only along a 4WD track from Balcanoona. This part of the Gammon Ranges National Park east of the Balcanoona Road is Adnyamathanha Cultural Use Zone, and only accessible from 5am to 3pm. 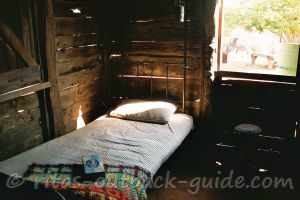 Even if it is a detour of 30 km one way, it is really worth to go to Arkaroola, and stay a day or two. This is the longest stretch of your journey without fuel supplies, any supplies, in fact. 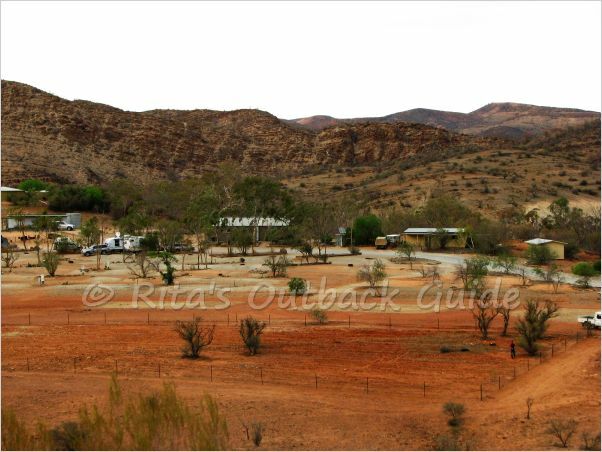 So get fuel, water, and everything you need in Arkaroola. 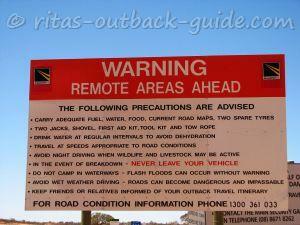 About 180 km north of Arkaroola you'll meet the Strzelecki Track near Mt. Hopeless HS. 123km further north is the turn-off to Cameron Corner along the Merty Merty track. 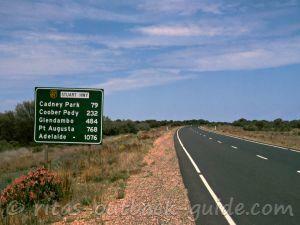 Cameron Corner to Broken Hill - 475 km - The road from the corner to Tibooburra (139 km) is usually in good condition. The Silver City Highway down to Broken Hill is partly sealed and shouldn't cause any problems. 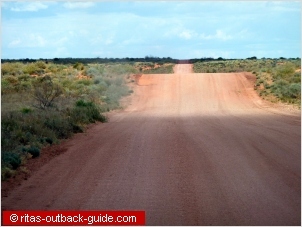 Check out my Outback driving and safety tips for more info on how to prepare a trip to the Australian Outback. 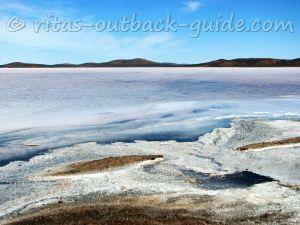 This is an arid land, but it is stunning and beautiful. Always carry plenty of water, and don't rush. New South Wales N.R.M.A. 131122. Don't forget your camera, and have a wonderful and safe trip. If you have more questions use the comments to ask. 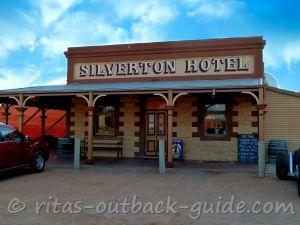 On my recent Outback trip I finally travelled through the Corner Country. 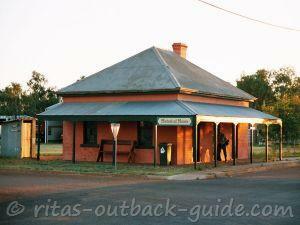 We headed north from Broken Hill to Tibooburra and Cameron Corner. I must say I loved the Merty Merty Road which we drove after a lovely lunch break at the corner store. I thought the road conditions were pretty good after all the rain in the area this year. 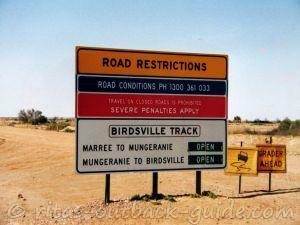 When we turned onto the Strzelecki Track on the way to Innamincka, the road was dry and dusty as expected. However, after a while we reached a section where a shower earlier on this day wetted the track. We really didn't notice that the track was wet until our car started to "dance". Boy, it took a while until the car came to a halt. After engaging the 4WD we crept along at snail's pace. The driver of a caravan was not so lucky and ended in the ditch. After this experience I really understood why dirt roads get closed when they are wet. I am glad to hear you had a good time. Sorry that the kids had problems because of the bad road. Advice from locals about road conditions can be slightly different. They might tell you that a road is fine, and you think it is a terrible track. Or you get warned about a miserable road, and after you finished the trip you haven't had any problems and think it was a good road. So this advice can be quite a bit subjective. However, they will definitely tell you if you should stay away from road because of rain or other conditions which can bring you in serious trouble, so it is always good to ask. 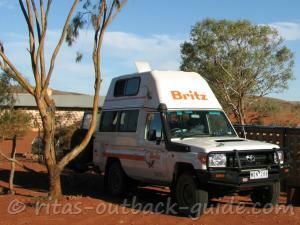 Just to let you know that we made the trip with 4x4 and normal caravans. We had a great time and had good dry weather which certainly helped. However we found the road from Arkaroola to the Strzelecki Track to be awful - very bad corrugation and was very slow going, also the Merty Merty Track is just sand hill after sand hill which consequently resulted in very bad car sickness for the kids, would have been good to have prior warning so everyone could take a tablet. 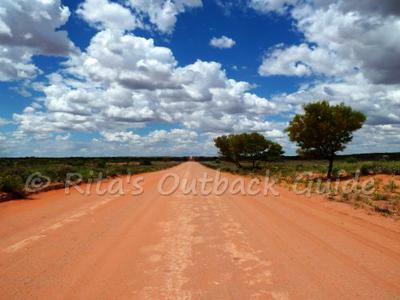 At Camerons Corner we were warned that the main road to Tibooburra was also very poor and not at all good for vans and was advised to take the Middle Road which was suppose to be better, but this also was very corrugated and slow going, took us 5 hours to do 180km. But we made it and had a wonderful time and saw some amazing countryside. Well worth it! !